Whether drivers want to admit it or not, New York State has a pretty fair system of vehicle and traffic laws. Still, those laws can be complex and the possible penalties for a conviction are not always well understood. That’s why it’s amazing to me how many people show up to traffic court without legal representation. Some of them may be underestimating how difficult it can be for the average person to get themselves acquitted of a charge. Others may have Googled some advice and think they know what they are doing. Others still may think they are saving themselves money. Having served as a judge in NY’s traffic court system for 15 years, I can say without question that drivers who want to fight a traffic ticket are best served by hiring an experienced attorney. It’s not enough to just get any kind of attorney. Here’s what the right attorney should do for a client. A lot of people come to court confused about both the laws they violated and the legal process for contesting the charges. A lawyer helps by educating the driver on the charges he/she is facing, the possible consequences, and what is the best possible route to avoid or minimize those consequences. The clients aren’t the only ones who get educated. Judges work hard to keep up with the law and relevant cases but it’s impossible to know everything. Plenty of good lawyers educated me on things during my judicial tenure. In any trial, there are usually only two people who know what happened: the police officer and the driver. The judge has to hear both sides and make a determination as to whether the person is a hazard to other drivers, and to what degree. The right lawyer knows what questions to ask and the right way to ask them. He/she also knows the right answers to give in response to questions from a judge or prosecutor. He or she will know what information should be glossed over and which should be emphasized. Experience allows a good attorney to read the body language of the judge and the officer to know when an argument or line of questioning is convincing or not, or if the judge is growing impatient or frustrated with the details of the case. In most New York State traffic courts, a lawyer is allowed to represent the driver without the driver being present. This is a big deal for those who may struggle to get the time off to appear in court. It’s not only the client’s time a good lawyer can save, however. An attorney who knows his/her way around the courtroom will understand that the judge’s time is limited. Most judges want to spend about five minutes hearing each side of the case. A skilled attorney can make his/her arguments succinctly. Good etiquette is a very important quality for a lawyer to have. An attorney who is too aggressive or who “blows smoke” is usually not going to put his/her client in a good position. He/she should strive to have a positive relationship with the judge, the prosecutors, and even the clerks. This isn’t a television drama; it’s not Law & Order. The lawyer doesn’t come to court in order to “defeat” anyone. He/she is in court in order to present the driver’s case in the best possible light, and most of the time that is more effectively done respectfully and politely. Look at their reviews. In addition to those listed on their website, third party sites such as Google, Avvo, Facebook and Yelp all collect reviews on businesses nationwide. Browse their website. Is the information consistent and accurate? Is the information clearly presented? Does it appear that this is an area of practice that they focus on? Gauge their experience. Once on the phone or in the office, find out how many of those cases he/she has done this year and collectively since the firm was founded. 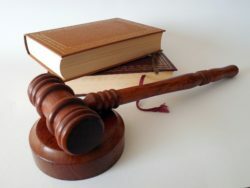 When discussing the case, a person should get the sense the attorney is knowledgeable. Make sure they are legit. It may sound obvious, but ask if the lawyer actually a lawyer. There are people who will take money to “handle cases” who are not lawyers. They are not law firms but rather companies who are looking to capitalize on the legal industry but in fact don’t have legal certification and ethically should not be taking cases to begin with. The bottom line is that having a lawyer on your side can be a big advantage. There are some, but not many attorneys who have honed their skills over many years and thousands of cases worth of experience. Those lawyers are the ones you want to seek out for your traffic ticket case. Doing so will give you the best possible chance of winning in court.